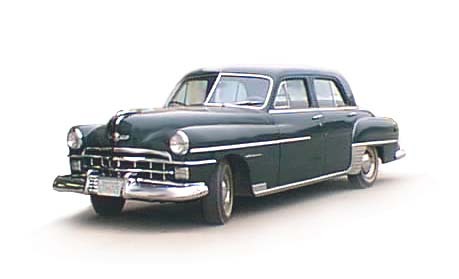 Both Dodge and Plymouth sold significant numbers of cars in the late forties and early fifties but there were few Chryslers and DeSotos travelling the roads of that time. The coachwork by Chrysler was outstanding and the feel of any of their cars of the time was that of a solid serious automobile. Doors close with a muffled thump and the interiors were luxurious and extremely comfortable with soft seats and rear footrests. 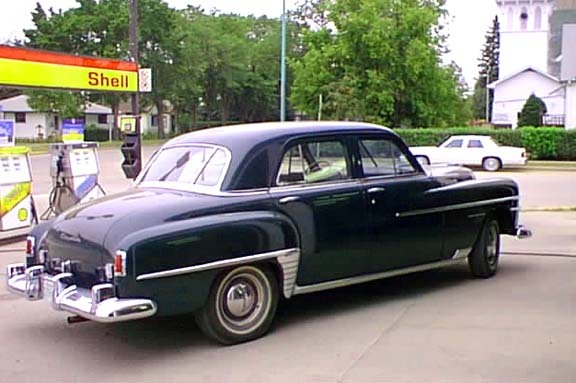 This 1948 Chrysler is in perfect original condition wearing its colour of the time and moves rather then drives around town. Major Rollie Zimmer is the proud owner of this machine and he also is the owner of the 1947 Pontiac we showed earlier. Mayor Zimmer obtained the car for a mere $100 and has been able to bring it back to life in its present glory. 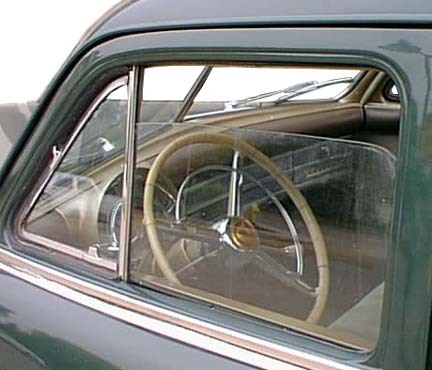 The market share for Chrysler in the post war years was less then they and their share holders expected. 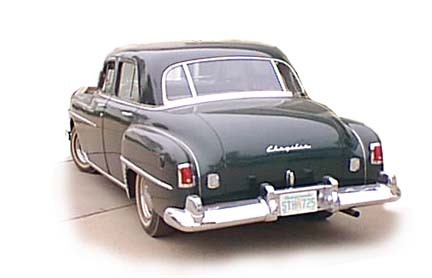 They maintained this body style through until 1954 when sales were falling off considerably. The problem wasn't quality because these cars were well made and compared with Ford and General Motors they were sturdier and the bodies much better in every way. The sales problem related to power, speed and style. Ford had always attracted young customers because its cars were often over powered even though their body work and durability was from 1949 onward less then acceptable. 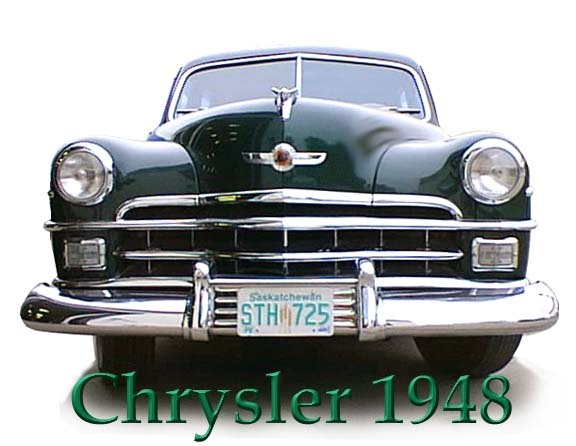 eight cylinder engines and quick accelleration left Chrysler with the "old folks" car buyer. General Motors was producing better bodies then Ford though not as good as the Chrysler ones with their clever powerglide transmission. GM's good styling and lower prices were making the car market a toss up between they and Ford. The low powered sedate Chrysler, no matter how well made, did not do well in the marketplace, but this one is the finest example you will see.